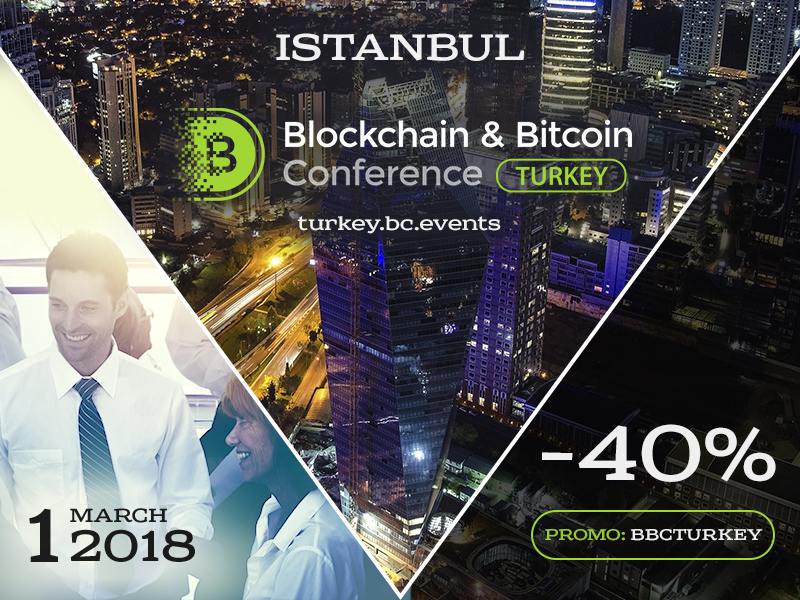 Do you want to attend large event Blockchain & Bitcoin Conference Turkey in order to learn more about blockchain technology, cryptocurrencies and ICO? From 25 to 31 January, tickets are available with a 40% discount! and get a ticket at a special price – 900 TRY. more than 15 speakers: blockchain specialists, entrepreneurs, investors, financiers. Hurry up, because after February 1 the ticket price will be 2000 TRY. The price for students is 450 TRY*. * - only 50 tickets are available.